Berkshire Facial Surgery surgeons and staff found it difficult to move among their three locations and work efficiently because each location was organized differently. This also made training new employees time-consuming and cumbersome. When they installed customer-designed organizers from Organize My Drawer, this challenge was solved. The doctors at Berkshire Facial Surgery in Westfield, Longmeadow & Hadley Massachusetts practice a full scope of oral and maxillofacial surgery including corrective jaw surgery, implant surgery, wisdom tooth removal and more. The staff is trained in assisting with general anesthesia or IV sedation within their state-of-the-art office setting. Berkshire Facial Surgery has a staff of 20, consisting of 2 surgeons and 18 administrative and clinical employees. Berkshire Facial Surgery struggled with having three locations, each with different cabinetry and organizational systems. Each location was organized differently, causing the employees to waste valuable time searching for items. Training new associates was also a time-consuming endeavor because new employees had to be trained three times – once at each location. 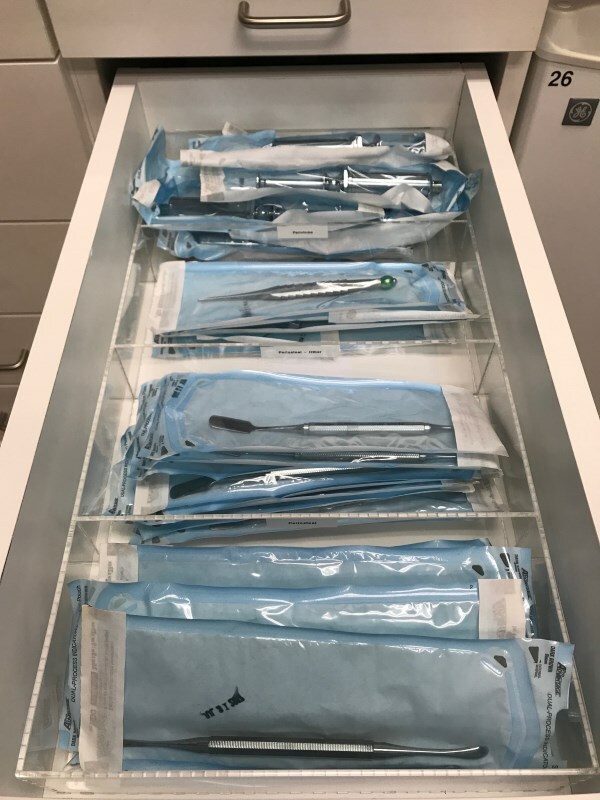 Justine Vieu, Operations Manager and a Senior Surgical Assistant, was tasked by the President of the practice, an Oral & Maxillofacial Surgeon, with standardizing the storage of all surgical instruments at the three locations. Justine searched for solutions and found Organize My Drawer through a Google search for “Organizer Dividers.” Almost immediately she realized she could design her own organizers and that each organizer could be sized to fit the cabinetry at each location, while keeping the layout the same. This was exactly what she needed to bring much-needed standardization to their practice. 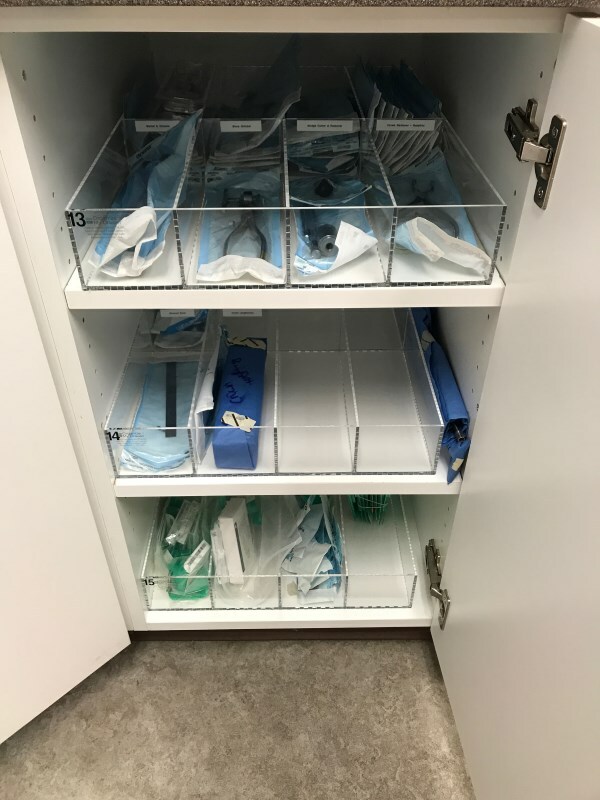 The doctors and surgical staff can now open each drawer and cabinet and find the instruments they need quickly and efficiently, whether they are working in Westfield, Longmeadow or Hadley. 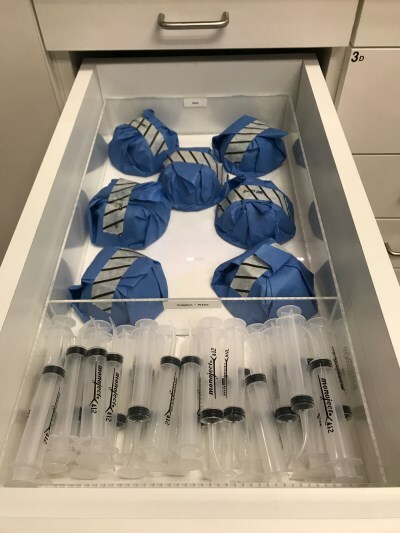 With the goal of standardizing the locations of all surgical instruments in our 3 office locations (with 3 different layouts), I struggled searching for something that divided the different-sized organizers sufficiently and identically. Justine Vieu Office Manager, Senior Surgical Assistant, Berkshire Facial Surgery, Inc. This addition to our practice will save time with locating items as well as be helpful for future new employees joining our team. I highly recommend OMD to anyone who is looking to organize or standardize the drawers in their office(s). No matter which office you come to, you can find any particular item in the same numbered location. Organize My Drawer was the perfect solution… My goal was accomplished thanks to OMD. The doctors at Berkshire Facial Surgery in Westfield, Longmeadow & Hadley Massachusetts practice a full scope of oral and maxillofacial surgery including corrective jaw surgery, implant surgery, wisdom tooth removal and more. Berkshire Facial Surgery has a staff of 20, consisting of 2 surgeons and 18 administrative and clinical employees.